The small kittens are beautiful and restless. All the time they are in the game and it's a pleasure to see each other. 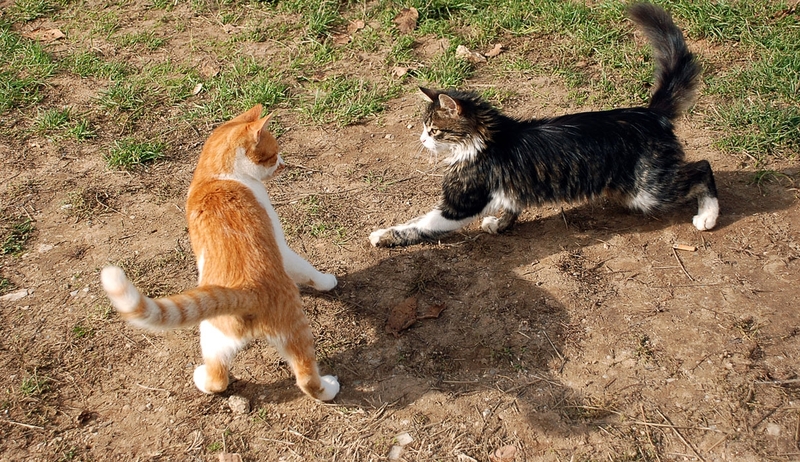 This is the game of two small kittens in the yard of a monastery. They are mischievous, and all the time ready to play. Their gaze is a real enjoyment.